Discourse by Counselor D. H. Wells, delivered in the Salt Lake Assembly Hall, Sunday Afternoon, October 28th, 1883. Discourse by Elder Daniel H. Wells, delivered in the Assembly Hall, Salt Lake City, Friday Morning (General Conference), October 6, 1882. Discourse by President Daniel H. Wells, delivered in the New Tabernacle, Salt Lake City, at the Semi-Annual Conference, Oct. 6, 1873. 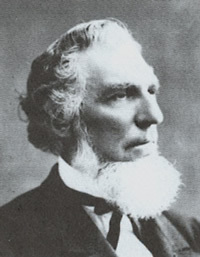 Discourse by President Daniel H. Wells, delivered in the New Tabernacle, Salt Lake City, Saturday Afternoon, August 9, 1873.